Having survived the first part of their unsettling journey, Bilbo Baggins (Martin Freeman) and his companions (Ian McKellen, Richard Armitage) continue east. More dangers await them, including the skin-changer Beorn and the giant spiders of Milkwood. After escaping capture by the dangerous Wood Elves, Bilbo and the dwarves journey to Lake-town and, finally, to the Lonely Mountain, where they face the greatest danger of all: the fearsome dragon Smaug (Benedict Cumberbatch). 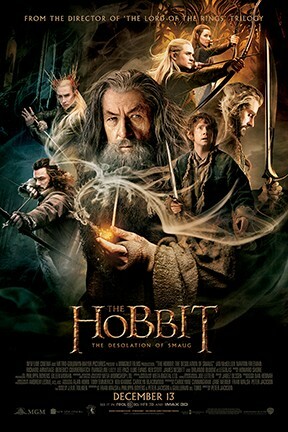 The Hobbit: The Desolation of Smaug, The Hobbit: The Desolation of Smaug 3D and The Hobbit: The Desolation of Smaug: An IMAX 3D Experience are not showing in any theaters in the area.